This past Saturday, Donald Trump visited a Baptist church in Detroit. It was another recent opportunity for him to get some face time with the African American community after polls showed he had virtually zero support within that demographic. 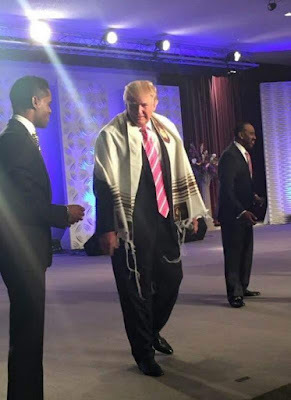 An odd thing happened at the Great Faith Ministries in Detroit, however, when Bishop Wayne Jackson wrapped Trump's shoulders in a tallit (Jewish prayer shawl) that the minister said was from Israel. "This is a prayer shawl straight from Israel," Bishop Wayne Jackson said. "Whenever you're flying from coast to coast -- I know you just came back from Mexico and you’ll be flying from city to city -- there is an anointing. And anointing is the power of God. It's going to be sometimes in your life that you're going to feel forsaken, you're going to feel down, but the anointing is going to lift you up. I prayed over this personally and I fasted over it, and I wanted to just put this on you." The response from most in the Jewish community was quick and critical. Many argued that a gentile like Donald Trump wearing a tallit was a form of cultural appropriation. At the very least, many maintained, this act was inappropriate and certainly puzzling. 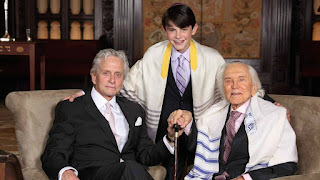 My first inclination was to rush to blog about this as an offensive act because a tallit, contrary to a yarmulke (kippah), is a Jewish religious garb based on a mitzvah (commandment) that mandates only Jews are to wear it. After reflecting on the situation at Great Faith Ministries and reading other comments about it, however, I don't think Trump can be held accountable for this. I also don't think it can simply be chalked up as cultural appropriation. 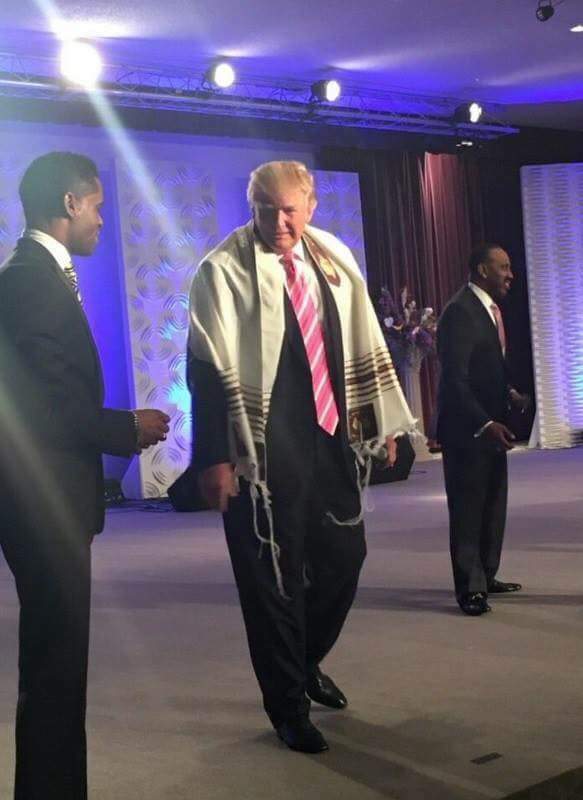 On Sunday morning, I posted the photo above of Trump wearing the tallit and jokingly captioned it, "I lent my bar mitzvah tallis to a Baptist church in Detroit over the weekend. Hope it gets to the dry cleaners before it's returned." The discussion that ensued was actually helpful for me to understand what happened and how to characterize it. The bottom line is that Trump was surprised by the gift of the tallit and did what most people in his situation would have done. The headlines that proclaimed that Trump "donned a tallit" were inaccurate. He didn't place the tallit over his own shoulders and it appears obvious that he didn't choose to have it placed on his shoulders. 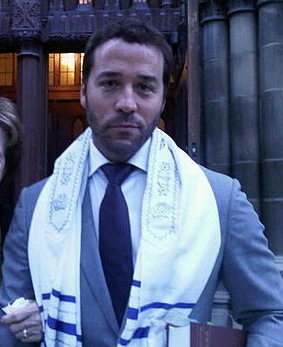 We Jewish people think of the tallit as our own "trademarked" religious ritual item. We were commanded specifically by God in the Torah to wear it, there's a specific blessing to recite before donning it, and there are specific times when it is appropriate to wear it. 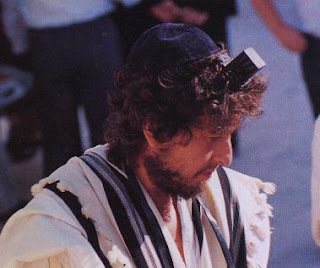 In synagogues, while it is often the policy for all men to cover their heads with a yarmulke (and women who choose so), the tallit is reserved for only Jewish men (and Jewish women who choose to wear it). There's a certain discomfort when we see a non-Jew, like Donald Trump, wearing a tallit. This was especially the case because it was done in a Baptist church. I don't consider it cultural appropriation however because there was no malice involved. Rather, this church seems to have adopted a Jewish ritual item as their own. We may be uncomfortable with that, but it isn't done with any ill intent. Since the image of Trump wearing a tallit bothered so many in the Jewish community, it can be categorized as a campaign blunder. The Trump campaign's advance team should have had an agreement with church officials that they had to stick to the agenda with no surprises like this. The fact that a surprise like this happened shows how unseasoned Trump's campaign is. Accidents happen all the time, but a simply understanding with the church leaders that they couldn't present the candidate with anything that wasn't previously approved would have avoided this controversy. My friend Jeff Bernstein, a professor of political science, explained it well on my Facebook post: "I don't know what Trump could have done. He ultimately had to take it, and wear it, and look foolish doing so. But better staff work, in advancing the trip, would have made it less likely that this kind of situation could have developed. Ideally, nothing should be happening near the candidate that has not been planned and coordinated. The Trump campaign has not excelled at these minutiae." 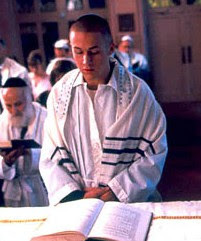 The tallit is a special Jewish ritual garb that has a prescribed time to be worn. We only wear it in the morning with the two exceptions of Yom Kippur on Kol Nidre (the evening service that commences the holiday) and the afternoon of Tisha B'Av. 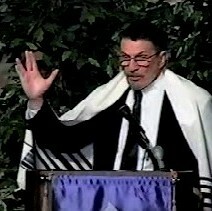 There are rabbis who wear a tallit when officiating at a wedding, but there is no basis for this. Similarly, there is no basis for a groom wearing a tallit at his wedding, although it is traditional to wear a white kittel. The gifting of a tallit to Trump at the Baptist church was odd, but it wasn't offensive. 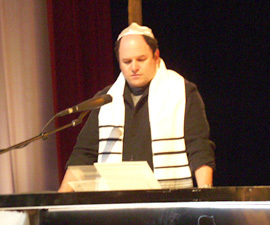 If Baptists choose to claim the tallit as a religious garb, they're entitled to it and no Jewish leader can stop them. The same is true if they want to hang a mezuzah on their door, eat matzah on Passover or recite the Shema. These are rituals that are unique to the Jewish people, but we can't keep others from adopting them. If it's done with malice then it is the offensive act of cultural appropriation. There was no outcry when Mayor De Blasio was wearing a tallit even though he's not Jewish. Similarly, no one minds when a non-Jewish actor wears a tallit for a movie role as Ryan Gosling did. Gosling was raised by two Mormon parents. 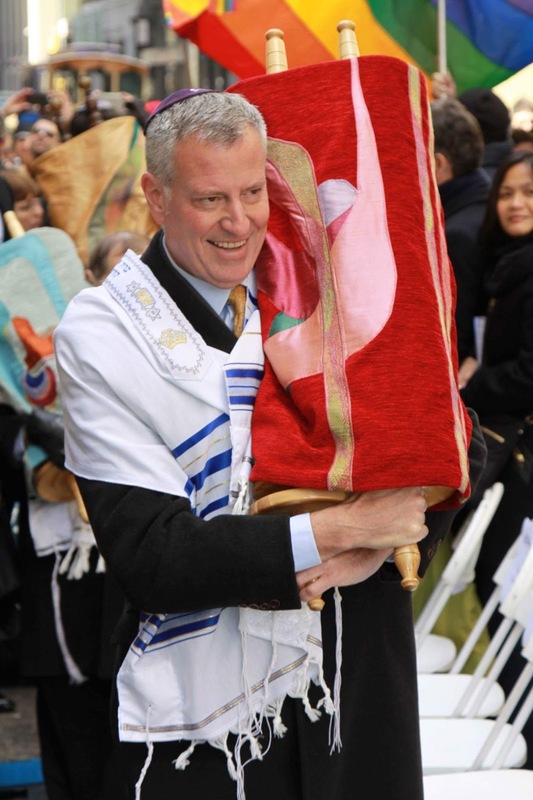 There are "strings attached" to that gift of a tallit. A person with a Jewish son-in-law might consider how it affects his own family relationships. Never mind, this is Trump. The fact that this man may become president astounds me.